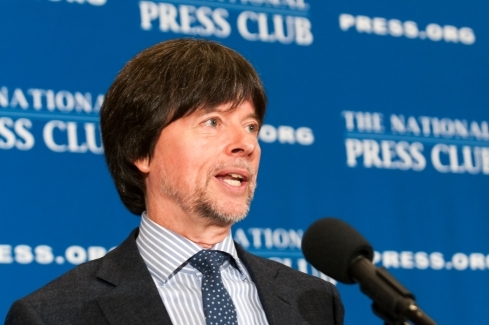 NPC Luncheon: Ken Burns & "The Roosevelts"
Documentary Filmmaker Ken Burns discusses his current picture "The Roosevelts" at a National Press Club Luncheon, September 15, 2014. 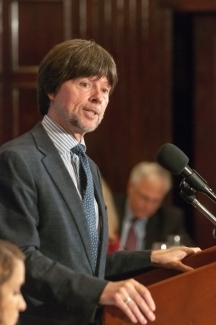 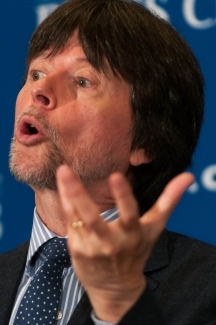 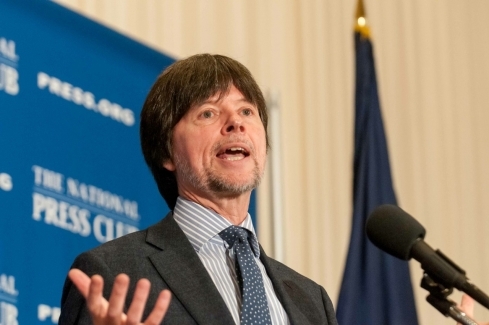 Documentary Filmmaker Ken Burns discusses his current picture "The Roosevelts" at a National Press Club Luncheon, September 15, 2014. 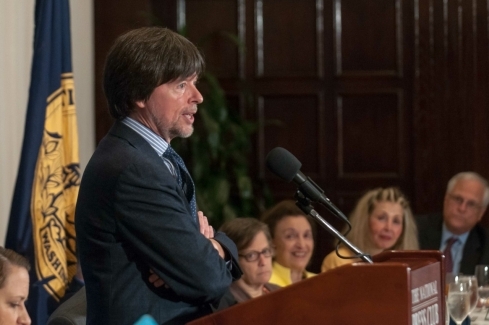 Also pictured left to right are Donna Leinwand, USA Today reporter and past NPC president; Andrea Stone, Freelance Journalist; Ambassador Selwa "Lucky" Roosevelt, United States Chief of Protocol, 1982-89; Janice Law, founder of American Women's Writers National Museum and Gil Klein, American University Journalism Professor and past NPC president. 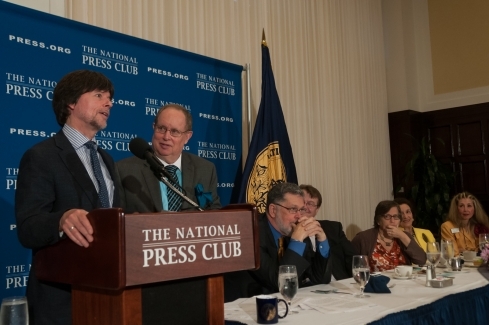 National Press Club President Myron Belkind asks questions submitted by members and guests to filmmaker Ken Burns (left) at a National Press Club luncheon, September 15, 2014. 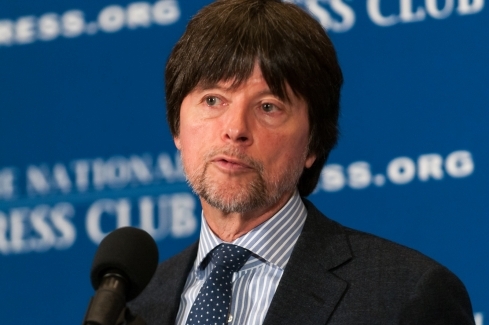 Also pictured is Geoffrey Ward, writer-historian and collaborator with Mr. Burns.